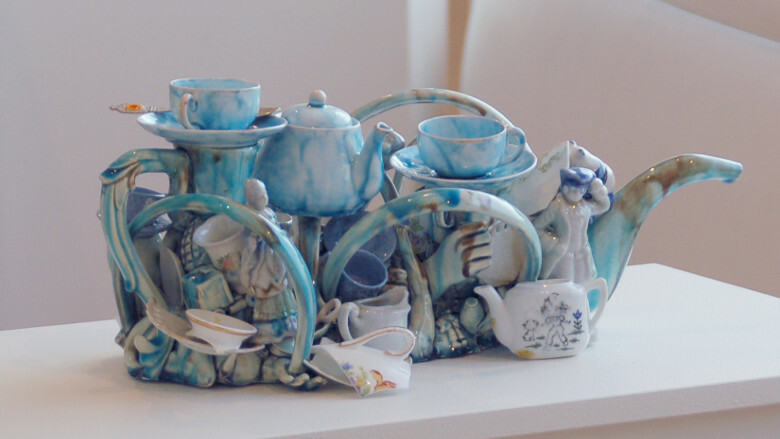 Working in brilliantly glazed ceramic, Craig Clifford casts found objects and combines them into tableaux in which natural imagery collides with pure kitsch. Clifford describes his process as an investigation of how context, expectation, and gaze affect our experience with everyday objects and images. Using teapots, cups, and other traditional ceramic forms, Clifford's colorful three-dimensional collages elevate the familiar to the sublime. Opening reception Friday, May 22, 5:30-7:30pm, with artist talk at 6:30pm.